I have been mentioned/interviewed/cited in Contemporary Issues in Culture Heritage – In Ben Hruska’s Chapter. | "Ever Widening Circle"
I have been mentioned/interviewed/cited in Contemporary Issues in Culture Heritage – In Ben Hruska’s Chapter. The perceived quality of a destination’s cultural offering has long been a significant factor in determining tourist choices of destination. More recently, the need to present touristic offerings that include cultural experiences and heritage has become widely recognised, that this aspect of the tourism experience is an important differentiator of destinations, as well as being amongst the most manageable. This has also led to an increase in the management of such experiences through special exhibitions, events and festivals, as well as through ensuring more routine and controlled access to heritage sites. Reflecting the increasing application of cultural heritage as a driver for tourism and development, this book provides for the first time a cohesive volume on the subject that is theoretically rich, practically applied and empirically grounded. 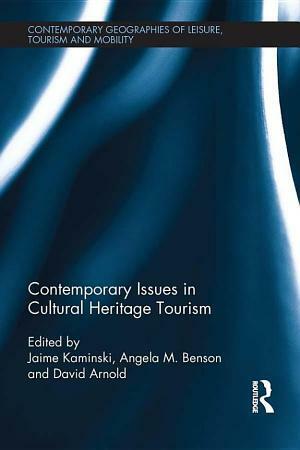 Written by expert scholars and practitioners in the field, the book covers a broad range of theoretical perspectives of cultural heritage tourism; regeneration, policy, stakeholders, marketing, socio-economic development, impacts, sustainability, volunteering and ICT. It takes a broad view, integrating international examples of sites, monuments as well as intangible cultural heritage, motor vehicle heritage events and modern art museums. This significant book furthers knowledge of the theory and application of tourism within the context of cultural heritage and will be of interest to students, researchers and practitioners in a range of disciplines.